STAY IN THE HEART OF AUSTIN, TEXAS! Enjoy the famous music, attractions and entertainment of downtown Austin. It's just minutes from our front door. 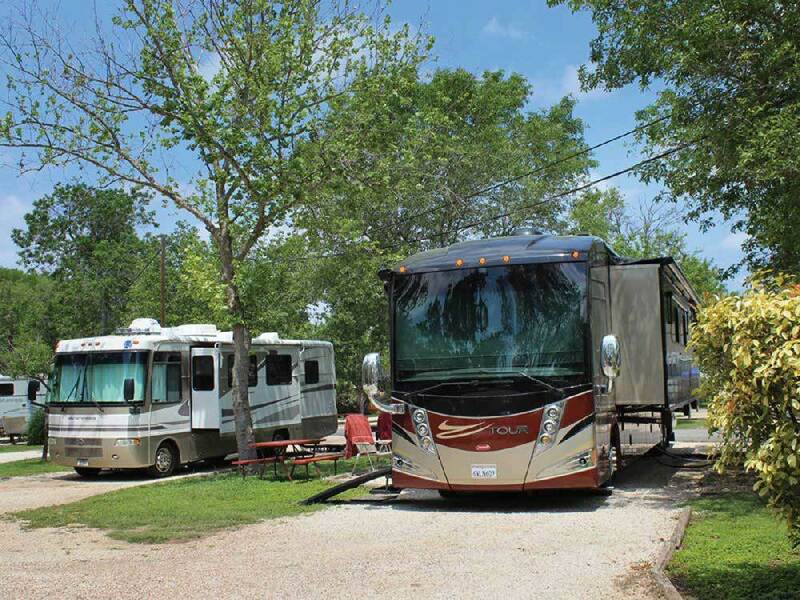 This resort is an active RVer's paradise with state-of-the-art facilities and Texas-wide smiles! Very nice gated park with level gravel pads and trees giving you a little feeling of separation. Beautiful and plentiful bathrooms. Friendly staff. I could not book my whole trip because of availability issues and she called me right back because they had a cancellation. I could not have been happier. This is very conveniently located in South Austin. A complete surprise that a park this nice is in the city. This park is much nicer than the price indicates. The staff are friendly and accommodating, and the facilities are well above par. We stayed for an emergency stop on July 4th weekend, and they not only found us a spot, they helped us find a mobile mechanic to get us back on the road. They have an A++ swimming pool, uniformed staff, complimentary coffee, a little shop, propane, full hook-ups, shade, and pull-through sites (and cabins). We feel extremely lucky to have found this park after the emergency on the first night of our 5000-mile trip. Thank you, Austin Lone Star Resort!